What our customers are saying about our Holiday Cottages In Treverbyn To Rent. "On arrival we received a warm welcome from the owner Kim. She showed us around the spotlessly clean, warm, welcoming and extremely well equipped cottage. Fresh milk was already in the fridge, Cornish biscuits left on the side and the log burner laid and ready to go. The underfloor heating on slate tiles throughout the cottage ensured it was always warm and nice underfoot. Secure storage for our bikes and a strategically placed hosepipe made life very easy for us after many a cycle ride on the Clay trails. It is apparent Kim has an eye for interior design and everywhere you look shouts out quality, including all the kitchen appliances, fittings and fixtures. Somehow they make the cottage feel like home rather than somewhere just to stay. 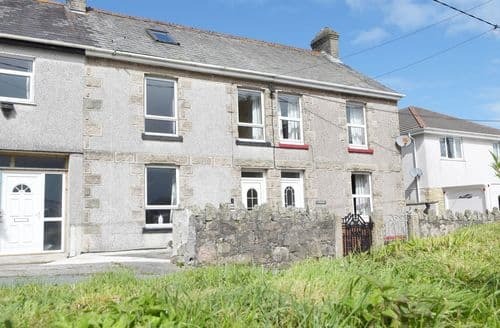 The place is hidden away and off the beaten track including an enclosed and well established private garden, but close enough to get the odd loaf of bread or beautiful fish and chips from nearby Penwithick. The Eden Project is less than 5 miles away and easily accessible by cycle, car or on foot. Owners Kim and Gary are the perfect hosts. They are there if you need them and nothing is ever too much trouble. 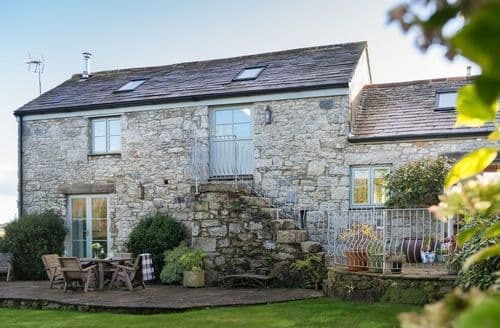 We cannot recommend this cottage enough and if you are thinking about booking, then just do it as you won’t be disappointed and it will definitely exceed your expectations. The only disapointment was leaving such an amazing place. We will be back!!!" "S90727 was an absolute delight. Well equipped, cosy and warm. Facilities were excellent. The induction hob & combi cooker were more than adequate for our needs and we cooked some lovely meals while there. 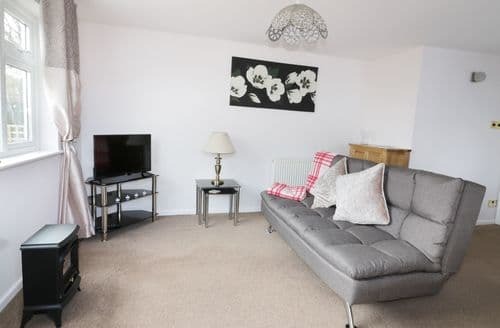 The location in Rescorla, down a little lane, was discreet but within easy reach of St Austell and the many other nearby attractions. Eden, Heligan, Charlestown, Fowey are all just a short drive. We went to St Ives, just an hour away, and there is so much to see and do, with the satisfying knowledge you will return to a little sanctuary of calm when you have sated your appetite for exploration. All the major supermarkets are within easy reach so self catering is no effort. The rural setting is just gorgeous. We saw deer from our window and many varieties of birds. The owners, who live in the main house were warm, friendly and helpful, yet unobtrusive. All in all a very satisfying break and cliched it may sound, but we would happily go back. 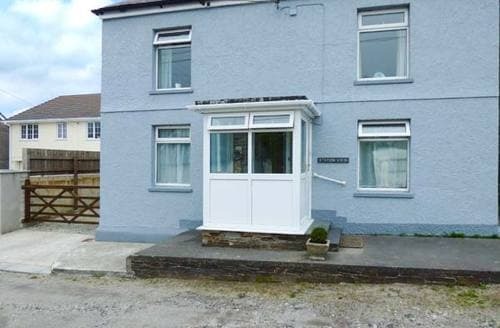 I can highly recommend this lovely little cottage." "Well equipped, cosy and warm. Facilities were excellent. The induction hob & combi cooker were more than adequate for our needs and we cooked some lovely meals while there. The location in Rescorla, down a little lane, was discreet but within easy reach of St Austell and the many other nearby attractions. Eden, Heligan, Charlestown, Fowey are all just a short drive. We went to St Ives, just an hour away, and there is so much to see and do, with the satisfying knowledge you will return to a little sanctuary of calm when you have sated your appetite for exploration. All the major supermarkets are within easy reach so self catering is no effort. The rural setting is just gorgeous. We saw deer from our window and many varieties of birds. The owners, who live in the main house were warm, friendly and helpful, yet unobtrusive. All in all a very satisfying break and cliched it may sound, but we would happily go back. 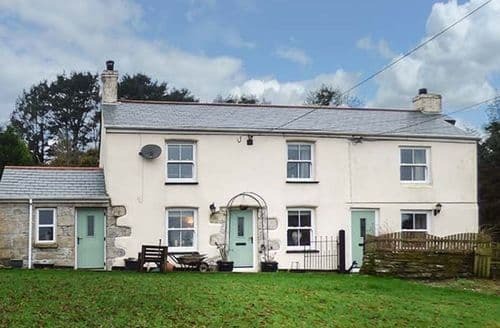 I can highly recommend this lovely little cottage." 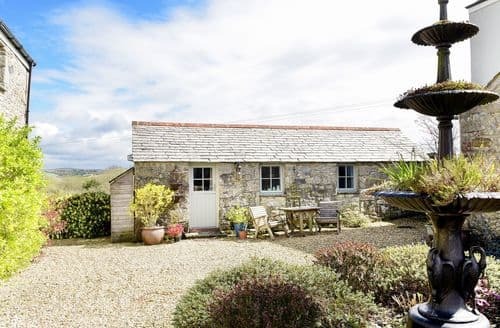 "It's a beautiful cottage in a very tranquil location, very warm and cosy with a very effective underfloor heating system and the wood burner (not that we needed it!). The kitchen is a great space with every utensil and appliance you could want to use and the light airy lounge upstairs gave a nice space to relax in the evenings. The bed was very comfortable which is a must when your doing a fair amount of walking during the daytime! Bathroom equipped with a nice large free standing bath and separate shower cubicle so once again all needs had been catered for. On the whole the cottage was absolutely immaculate and I can safely say we didn't want for anything for the entire duration of your stay. Looking forward to coming back!" 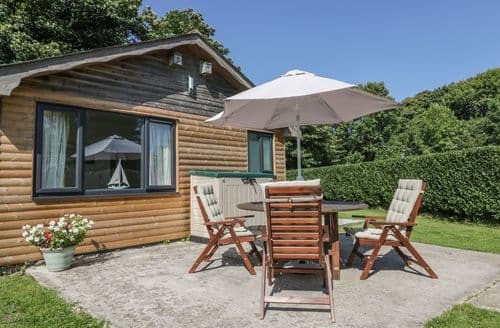 "Excellent hosts, cosy, comfortable cottage which included everything we needed. We appreciated the welcome pack and the use of the garden to sit out in with only the sound of birds to keep us company. The position of the cottage was such that the places we wanted to visit were easily accessed by car or public transport. We have holidayed in Cornwall before but we hadn’t been to Fowey, Truro or Charlestown and they were all thoroughly enjoyed by us. 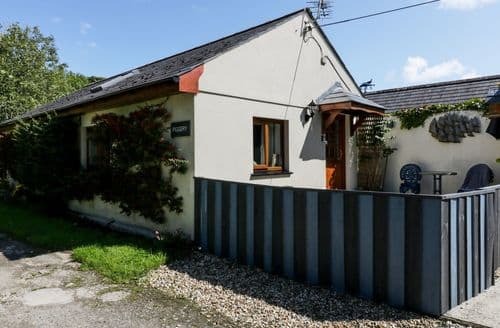 We were recommended to book Sykes accommodation by a number of our friends and we weren’t disappointed in fact we may be booking a cottage in Northern Ireland with another couple next spring. Thank you for helping us enjoy a lovely holiday in a wonderful county."